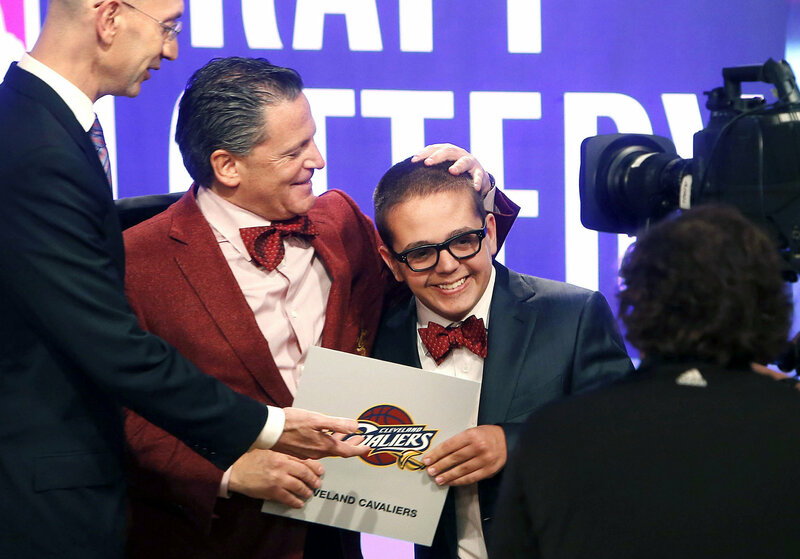 The balls bounced the right way Tuesday night and the Cleveland Cavaliers gained the No. 1 overall pick in June’s NBA Draft for the second time in three years. Now it is up to general manager Chris Grant to not screw this up. This is allegedly a “weak draft,” but the experts said the same thing in 2011 and the Cavs walked away with Kyrie Irving, so all the Cavs need to do is find the one player that can make a difference and then it doesn’t matter what happens with the rest of the draft. The Cavs also control their own destiny as now they don’t have to worry about anyone jumping in front of them or hoping that a particular players falls to them later in the draft. Grant is also open to using the No. 1 overall pick to its full advantage. “You want to look at all your options and make the best decision for your team,” he told ESPN. “This is a valuable asset that we can add to the group, whether it’s in trade or keep it and add a player. For us, it’s wide open. A number of these guys are injured, so there’s still an enormous amount of due diligence that’s got to be done. One word of advice to Grant: if the phone rings and his caller ID shows “Mike Lombardi” he should probably not pick up. Don’t want to get any crazy ideas about trading away this year’s draft picks for a supposedly better furture down the road.